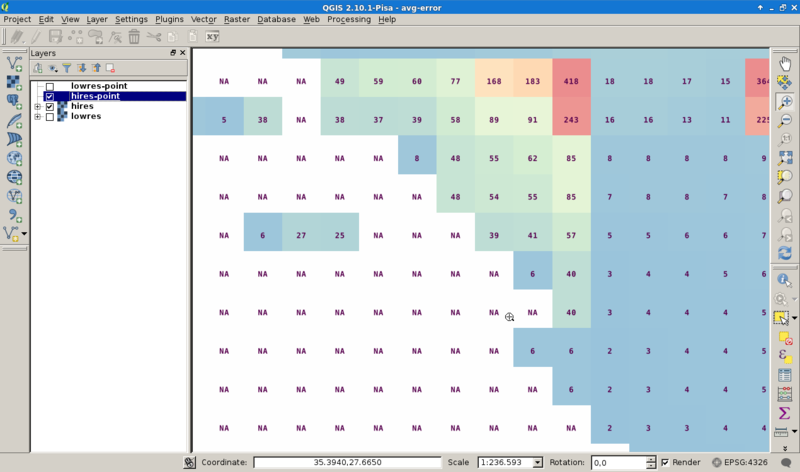 Displaying numbers of single band raster layer in QGIS without additional vector layer? I wonder if there is a raster symbolizer in QGIS with a label option, that renders the cell values as labels of single band raster layer, a scalar field. and apply all the vector symbology and labeling capabilities on/to the xyz-object. For large scalar fields, this workaround is very slow and not handy. At least I want to build a map for debugging purposes with this look. Is there a plugin for QGIS that draws raster cells as shown above without the vector handicraft? 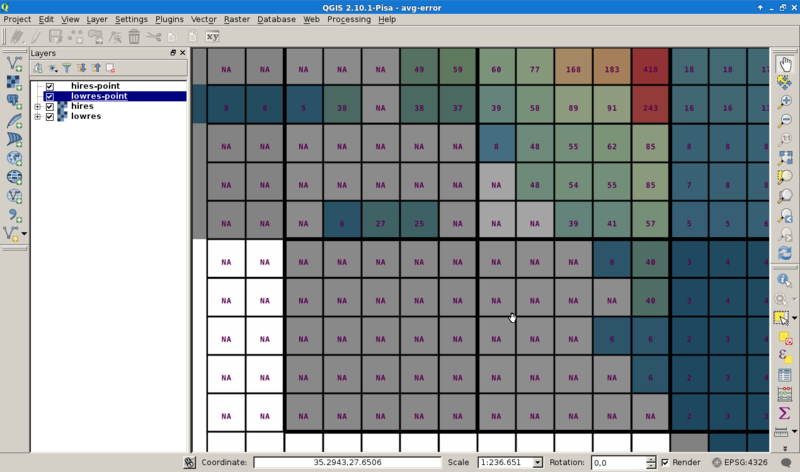 I try to investigate the results of GDAL raster window operations for example (comment @Paulo). SAGA GIS can render cells like this. These instructions are for SAGA GIS 2.2.6 . There have been a few menu changes in recent versions of SAGA, but this is also possible in older versions. In properties, check "Show cell values" then "Apply"
Not the answer you're looking for? Browse other questions tagged qgis raster qgis-plugins or ask your own question. How can I get a numerical (or value) display for equal intervals in a layer? Is it possible to customize the Vector and Raster menus? 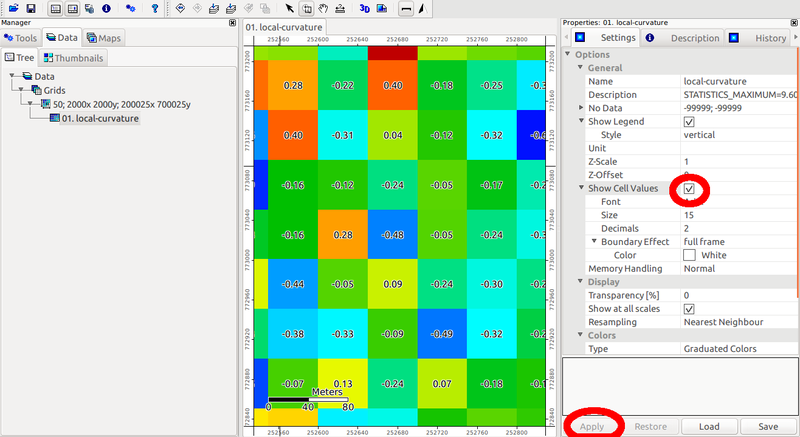 QGIS 2.4 Clip function in Raster layer Style Single band pseudocolour not working? Build a table with columns of raster values from multiple raster datasets, using Python, GDAL, or PyQGIS? Displaying vector layer added using Add Vector Layer in QGIS?